The breakfast par excellence is definitely the croissant. 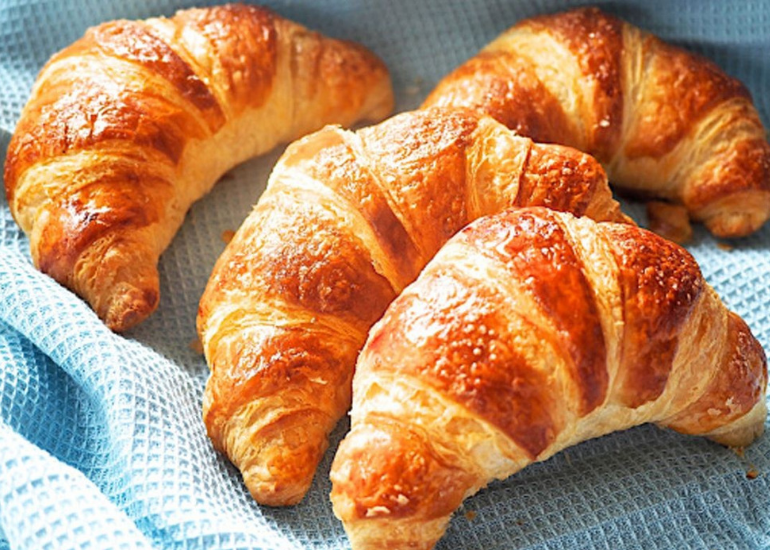 The croissant, a French term that identifies the typical Italian-style croissant, is a sweet with a truly compelling story and unexpected origins. If you think about the croissant as a dessert with French origins, you’re wrong. Its history in fact dates back to a historical episode, which concerns the non-occupation of the Ottoman Empire on Austrian territory. In 1683, Vienna was in fact besieged by the Turks. The capital to resist this invasion, was completely barricaded within the city walls. To solve this problem, the Turkish army decided to carry out a surprise attack in the middle of the night and to dig tunnels that would take them inside the city. But the Turkish army did not come to terms with the Viennese bakers, who were awake all night to carry out their bread-making activity, they realized the threat and warned the army in time, thus arresting the Turkish fury and causing the Ottoman army. Vienna therefore had freed itself from the invader. To celebrate this great victory it was decided to make a dessert to underline the fundamental role of the bakers. Brioches were made from the shape that reminded the half moons (symbol of the Turkish flag) to celebrate the escaped danger. So why is this Viennese dessert associated with France? The most plausible explanation seems to concern the choice of Queen Marie Antoinette of Austria, who by marrying Louis XVI became the Queen of France. Marie Antoinette could not help but have breakfast with this cake, she also strongly wanted it at the court of Versailles. The French pastry chefs then learned and interpreted the traditional Viennese recipe and in a short time the croissant became the most loved sweet in France and soon thereafter all over the world. January 30th, the whole world celebrates the delicious event called the Croissants Day, in which the sweet par excellence of breakfast. Our personal advice to celebrate it better? On January 30th, ban on diets, allow yourself for breakfast a nice croissant accompanied perhaps by a coffee or better still a cappuccino. The day we assure you will have a whole new flavor.